Canary: “explores one’s engagement with the natural world. It is based on the premise that the literary arts can provide an understanding that humans are part of an integrated system,” says editor Gail Entrekin. Image An on-line journal and blog exploring the intersection of art, faith and mystery. “IMAGE publishes work that embodies a spiritual struggle that seeks to strike a balance between tradition and a profound openness to the world,” says founder Gregory Wolfe. Flyway A journal of writing about the environment. Phren-Z Floodlight Online literary journal, Santa Cruz California. Poetry Daily: Read a poem a day on this site. Writer’s Almanac Where Garrison Keillor posts read a poem each day. Places of family and ancestors. England, South Dakota,US, Italy. Oceans of the World: Some of the most beautiful places on the planet are underwater. The people at Five Gyres, Marcus Ericson and Anna Cummins, Lindsey Jurca, Jordan Howard and Justin Bastein help better understand plastic pollution and its effects on the oceans of the world. Santa Cruz, California: The place I call home, where Michael Citrino and I are creating Gratitude Gardens, a place for deliberate living. Charles Eisenstein, Sacred Economics: A new kind of economics connected to sustainable growth. Community Supported Agriculture Buy your food directly from a farmer. Institute for New Economic Thinking: “The New Economics Institute is a US organization that uniquely combines vision, theory, action, and communication to effect a transition to a new economy—an economy that gives priority to supporting human well-being and Earth’s natural systems. Resurgence Magazine about the environment and sustainable living. Slow Food: Food in harmony with nature. Tiny House Movement: This New Yorker article describes a movement enjoying the benefits of a small house. Susan Cain, author of Quiet, The Power of Introverts. Author interview. Child Spirit Institute “A nonprofit educational and research hub dedicated to understanding and nurturing the spiritual world of children. Mindfulness in Education: “The purpose of our network is to facilitate communication among all educators, parents, students and any others interested in promoting contemplative practice (mindfulness) in educational settings.” This link gives a series of excellent videos with various presenters at the 2012 Mindfulness in Education conference. They describe how they bring contemplative practices into educational settings. Omega Institute: Their stated mission is to “provide hope and healing for individuals and society through innovative educational experiences that awaken the best in the human spirit”. Merton Institute for Contemplative Living “The Merton Institute for Contemplative Living…whose fundamental purpose is to transform individuals and society’s consciousness regarding complex issues confronting us today. Slow Living: Living a life out of balance? This site is all about slowing down in order to connect with life. World Community for Christian Meditation Resources for meditation in the Christian tradition, including talks about meditation on podcasts, YouTubes, information about retreats and local sites for practicing meditation. Camino di Francesco Through the locations where St. Francis walked and worked during his life time. Camino de Santiago This is the 500 mile trail I bicycled in 2005 from Roncesvalles to Santiago de Compestela. Pilgrims on the Camino (web link). 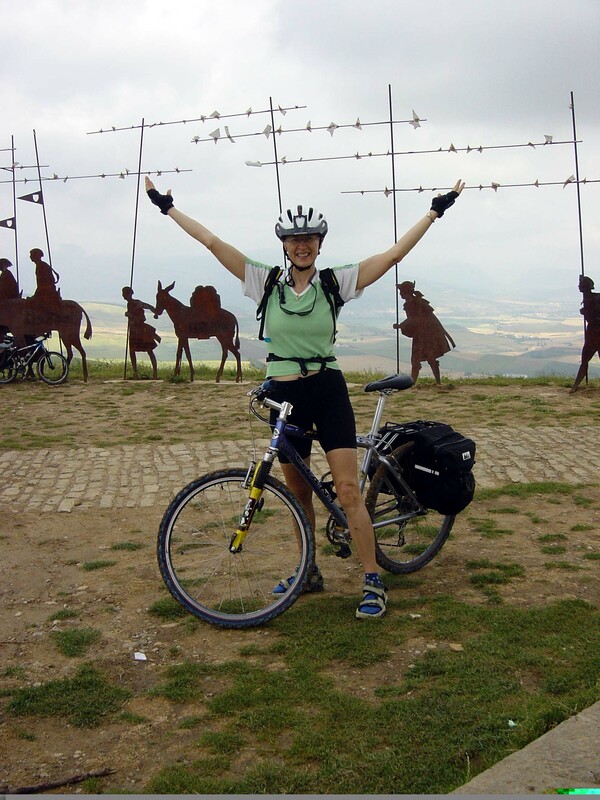 Santiago Ways is a site giving information about different routes on the Camino if you want to travel with a group. Japan’s Poetry Trail: In 1689, the haiku poet, Basho walked with his disciple, Sora, approximately 2,500 kilometers across Japan from Tokyo to Matsushima. The Kumano Kodo trail, holds Shinto and Buddhist shrines. Stanza Stones Poetry Trail is a 50 mile walk in the Pennine Watershed, England. The poems are written by UK poet Simon Armitage. Pip Hall carved the poems into the rough rock in the area. The walk and stones are connected to the literary festival in Ilkley. Walking Henry David Thoreau’s essay on walking. All quotes on this page are from the links related to each quotation.